Is Product Testing USA a Scam? My Review Uncovers The Truth About It! Companies spend a lot of money to promote their products via the likes of Amazon and eBay & reviews play an important role in a visitor’s decision making process when it comes to making a purchase. This is why product testers and reviewers are becoming increasingly important. 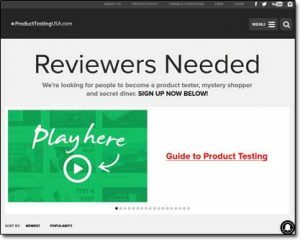 Product Testing USA is a new review based platform which invites products testers to have a say on various offers. But how does this program work and does it really pay back? My followers seem to be pretty curious about it all as well as being excited to try the website, so to make things easier I’ve decided to write a comprehensive Product Testing USA review. Here you’ll see the various important things to consider about this seemingly promising platform. And if you’re wondering is Product Testing USA a scam or legit site then you’ll figure it out after I show you some interesting and unknown facts about this popular new website. What Exactly Is Product Testing USA? Product Testing USA is based on a simple concept. The platform invites you to join the program. You’ll be testing and reviewing different products & the main idea is that you’ll receive each of the products you review for free. In addition to the free products, the website also allegedly offers various promotional rewards which include cash vouchers and gift cards. Seems good enough, as long as we don’t have to pay anything in the form of membership or subscription fees! I found it strange – I mean why would a website limit the number of reviewers or product testers? It is quite strange to know that the platform actually only allows a certain selected visitor to review each product. Well I guess it makes sense because the reviewers must have some idea about the product. But they are literally picking just one reviewer per product. This is something beyond logic! On one hand they are inviting new testers and on the other hand, they have imposed restrictions on the visitors. What exactly is the motive of this platform? I’ve come to the conclusion that this website is actually willing to encourage more and more visitors to sign up. Once the visitors sign up, they reveal their policy that you can’t review more than one product in a day and that you can only review one product if the website picks you as a tester of a particular product. Let me first show you how this website works so that it will become easier to know if it is really what it appears to be. How Does Product Testing USA Work? When you select a product to review, you’re asked to hit the Sign Up icon which takes you to the next page. The sign up process is simple but you need to make sure that you uncheck the condition stated under the sign up icon. If you leave it as checked and proceed further, you’ll allow the platform to send you emails, contact you via your contact details and share with you the latest promotions. If you actually love to receive these things then there is no problem with selecting the option but otherwise it will get pretty annoying. After signing up, you are confronted with a questionnaire which you have to fill in. The questionnaire actually deals with the promotion of various other products. This is a trick to drag the visitor deeper inside. They just want you to sign up for more and more products. This is the third step but just on paper. Since I only tried this platform for the purpose of review, I requested some information from others who had tried this platform for over a month. They told me that the second step is actually a trap. While dealing with the questionnaire you get the impression that the website is trying to judge your interests and knowledge about particular products. The reality is, they are just promoting the products and they never really require testers or reviewers. As far as receiving a product is concerned, you apparently never actually receive any products. They just trick you in believing that one day you’ll get your chance. Based on what the people I spoke to said it seems like that “one day” might have been numbered after Doom’s Day! 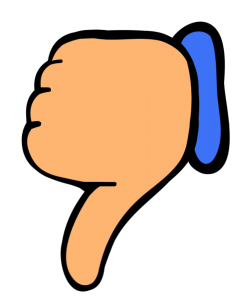 Why Do They Limit Reviews? One important thing I realized about Product Testing USA is that the prime focus is to collect the visitor’s information. This website actually shares your contact information to help the promotion of their partner’s products. After signing up, you’ll keep receiving spam emails, occasional phone calls even text messages. Whilst it doesn’t break into your computer it still tricks you to extract your information. You may share that information during the sign up process or registering for any other offer. People have complained a lot about this platform for sending repetitive spam emails, phone calls, and texts. My Verdict – Is Product Testing USA a Scam? On the basis of the fact that I just tried this website for a couple of days for the purpose of this review I can’t personally conclude if they do actually send out products as claimed, but I’ve seen a lot of Product Testing USA scam rumours that are mainly based on this single argument that they never send any products. One thing I will say though is that I am convinced that it is not 100% legitimate. The website’s content is misleading and they never tell you about the review limitation until after you sign up. So my advice is to stay protected & don’t waste your time waiting for your turn to review something when you might actually never even get sent a product. Instead of fooling around with a site like Product Testing USA which appears to just be a time-waster why not take a look into a legitimate & proven program instead like Wealthy Affiliate for example? Through a program like that you’ll learn exactly how to properly make money online & the best part is that it’s entirely free to join. So overall I am going to make the decision not to recommend Product Testing USA because in my opinion it doesn’t really seem worthy of your time & could potentially just a be a scam designed to gather personal data. MobiSave Review – Legit Cashback App or Scam? Aspire Today Review – Can You Really Make Money? Giracoin Review – Another Cryptocurrency Scam?